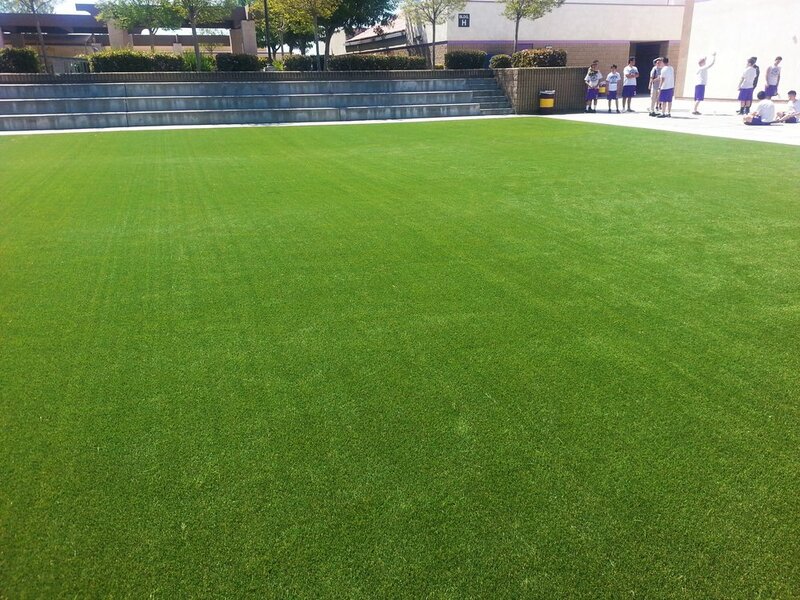 Description: Walnut Valley Unified School District modernized one of their high school recreational courtyards due to deterioration of an existing pour-in-place rubber system. The goal was to increase the courtyard's lifespan while improving aesthetics and addressing safety concerns. Background: With a strict budget to adhere to, Walnut Valley USD approached KYA for a cost-effective solution that would resolve the deterioration issue without fully replacing the pour-in-place system. Method of Approach: KYA repaired and sealed the existing PIP system then overlaid synthetic turf ensuring a time-efficient and cost-effective method to avoid demolition. This method sustained the courtyard’s current ASTM safety rating with additional benefits of product longevity, high foot traffic, and improved aesthetics. Results: This application resulted in a renewed and appealing courtyard for students to enjoy along with the advantage of a maintenance-friendly facility for the district, and all within budget. Newer PostWhat Does Your Surface Say?